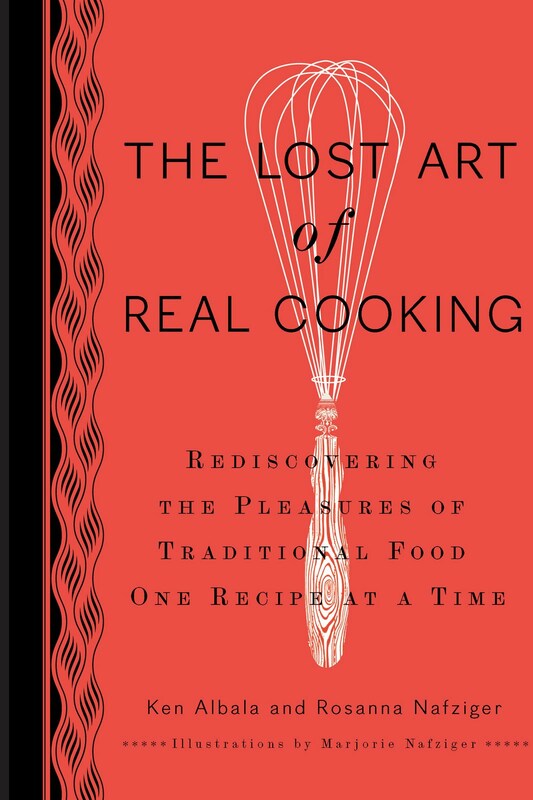 The Lost Art of Real Cooking, good food, wine, and company: next week at two events! On Thursday evening, I'll be at 18 Reasons with my co-author, Ken Albala, and our illustrator (my mother) Marjorie Nafziger. Wine and lots of good food -- Ken is bringing homemade salami, pickles, cheese, and bread. I'm bringing homemade doughnuts, butter, and koji pickles! My mother will have prints and cards of her illustrations available. July 22, 7:00-9:00 p.m. 593 Guerrero Street (just off of 18th Street). $5 for 18 Reasons members; $10 for non-members. 18 Reasons is a non-profit event space for the celebration of art and food. More about 18 Reasons. On Saturday afternoon, I'll be at Omnivore Books on Food, again with Ken and Marjorie. We'll read and talk about the book in one of my favorite bookstores ever. 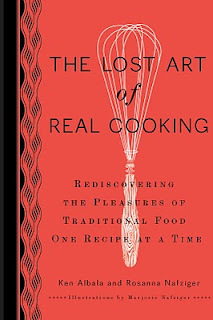 It's entirely dedicated to cookbooks -- new, used, and antiquarian. July 24, 3-4 p.m. 3885a Cesar Chavez Street. Free. More about Omnivore. A write-up on SF Weekly. Books will be available for sale at both events. I would love to see you at either one! I just found your book at my local used bookstore. Its a treasure. I'm getting so much out of it.